By 2024, AI in the U.S. healthcare market is set to exceed $10 billion according to a recent Global Market Insights report. As nearly eight out of ten healthcare executives who responded to a recent cross-industry survey said their organizations are ramping up investments in big data analytics and AI, it should come as no surprise that the market is truly ramping up. Nearly 80 healthcare AI startups raised their first equity rounds in 2017 and corporate healthcare funding for AI and predictive analytics reached nearly a half a billion dollars in 2017. AI was also the talk of the town at the recent J. P. Morgan Healthcare Conference, the largest healthcare investment symposium in the industry. 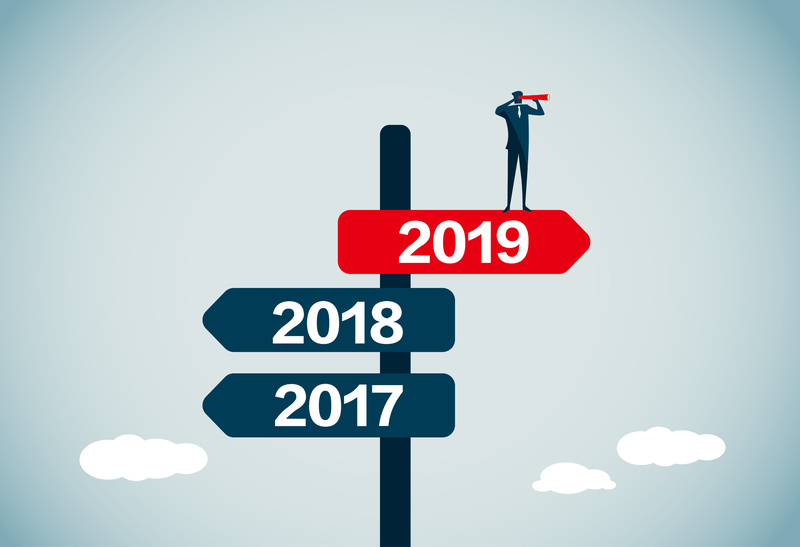 Clearly healthcare companies of all sizes are betting on AI to bring significant changes to the industry, but that isn’t the only reason to believe that 2019 will be a watershed year for the technology. The industry seems poised to overcome some of the major obstacles that have held AI back in recent years, but the journey won’t be without its speed bumps. Take a quick look at the barriers being addressed and where there is still room for improvement. Advances in computing power and data availability are overcoming technology challenges for AI, but cultural and organizational barriers still stand in the way. In a recent survey, nearly 80 percent of healthcare executives said their organizations struggle with AI adoption, with over 90 percent citing cultural issues. An encouraging sign that these cultural barriers can be broken down is the fact that early skepticism of the value of AI is melting away as more healthcare professionals begin to buy in to the technology. One survey of 200 U.S. healthcare decision-makers shows that nine out of 10 respondents believe AI will provide predictive analytics for early intervention and improved care while eighty percent felt it would improve the accuracy of medical diagnosis. More than a third of respondents already employ AI technology and more than half expect widespread adoption of AI within the next five years. One of the biggest roadblocks to AI has been the frustration of many data scientists and researchers over the “black box” aspect of AI. They are hesitant to accept and incorporate results obtained through AI without the explanation as to how they were derived. The rise of causal machine learning, which provides mathematical explanations for AI results, is transforming the “black box” into a “white box” solution that should lead to greater trust and adoption of AI by healthcare leaders. Government agencies are showing an increased desire to be involved and potentially support the adoption of AI in healthcare. The 21st Century Cures Act, passed by Congress in late 2016, mandated that the Federal Drug Administration (FDA) establish guidance for the use of real-world data (RWD) and real-world evidence (RWE) to support regulatory decision-making including approval of new indications for approved drugs. 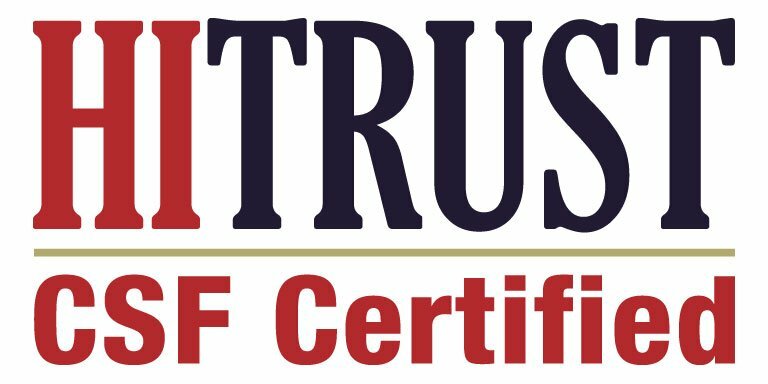 This past July, Scott Gottlieb, FDA Commissioner, released the new guidelines, which will involve demonstration projects, stakeholder engagement and internal processes that will add senior leadership input into the evaluation of RWD to develop RWE. The lifeblood of AI is data and making more data available is a significant step forward for use of AI in accelerating the drug development process. The FDA is also accelerating the approval of AI software for clinical imaging and diagnostics, showing a commitment to integrating findings from AI throughout the healthcare continuum. Finally, encouraging signs from leading biopharma companies demonstrating greater adoption of AI is serving as a bellwether that the upcoming year may be the turning point for AI and ML. Novartis has begun a significant effort to use AI to digitize all of its pathology images, setting the stage for machine learning. The company is also using AI to leverage ten years of historical data to train algorithms and monitor their worldwide clinical trials to predict which will enroll on time and which will have quality issues. Merck has announced it is using an AI augmented proteome screening platform to uncover novel targets modeled to interact with a small molecule. Eli Lilly is now using AI to enable on-demand drug discovery to allow researchers to design, synthesize and screen investigational molecules at the Lilly Life Science Studio. Novo Nordisk recently announced it will be using AI-based drug discovery to find new therapies for type 2 diabetes. These are only a few examples of the growing adoption of AI by biopharma companies. Combined with efforts to better educate scientists and researchers on AI, these steps across different industry players illustrate that the market is ripe for action. This year promises to be exciting and groundbreaking for AI in healthcare and now is the time for a cohesive strategy to usher in the new generation of discovery, development, and commercialization. 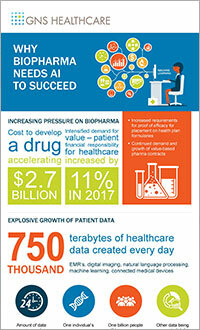 To learn more about why Biopharma needs AI to succeed, download our infographic. Nearly 80% of Healthcare Execs Investing More in Big Data, AI, by Jessica Kent, HealthIT Analytics, January 4, 2019. Healthcare AI is Booming, by Jeremy Isenberg, BIOtechNOW, September 6, 2018. AI finding tops $1 billion mark as mobile investments wane, by Mike Miliard, HealthcareIT News, January 17, 2018. U. S. Healthcare Leaders Expect Widespread Adoption of Artificial Intelligence by 2023, Intel News Release, July 2, 2018. The AI Industry Series: Top Healthcare AI Trends to Watch, CB Insights, 2018. Novartis CEO Who Wanted To Bring Tech Into Pharma Now Explains Why It’s So Hard, by David Shaywitz, Forbes, January 16, 2019. Merck KGaA, Darmstadt, Germany, in Agreement with Cyclica for AI-Augmented Screening Platform to Expand Research Capabilities, Merck KGaA news release, December 6, 2018. Transcriptic Selected to Oversee Robotic Cloud Lab Platform for Lilly’s San Diego Biotechnology Center, Transcriptic news release, July 24, 2018. Novo begins R&D tie-up with AI biotech e-therapeutics, pharmaphorum, December 12, 2018.